Fish, Nuts & Seeds: The first suggestion we have for you is to consume foods that contain omega 3 fatty acids! It is important to get a general intake of omega 3 fatty acid because of the overall health benefits you get. These benefits include maintaining cardiovascular health by lowering blood pressure, cholesterol levels, and triglyceride levels. Not only are omega 3 fatty acids good for the rest of your body they are also great for your eyes. It is proven that they can help with dry eyes, macular degeneration, and cataracts. 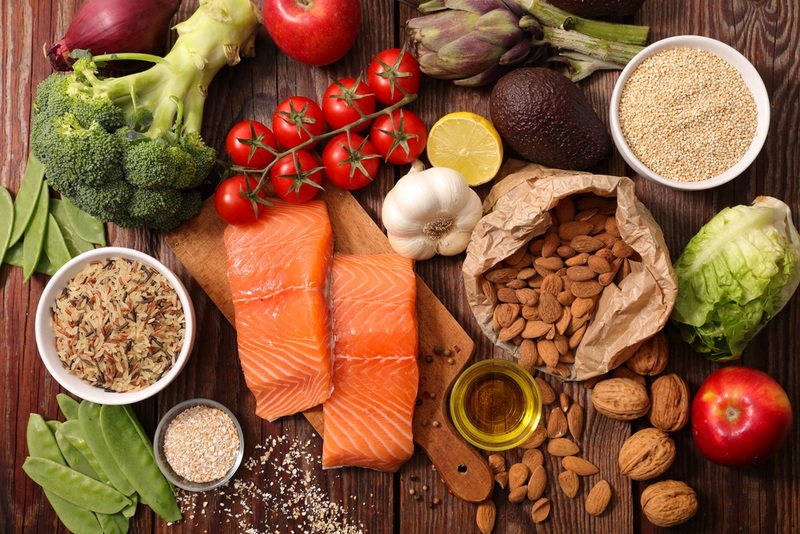 Some foods that you can eat to ensure you are getting this nutrient are Fish such as salmon, tuna, mackerel as well as nuts and seeds like walnuts, flaxseed, and chia seeds. Whole Grains: Keeping your diet rich in whole grains can be beneficial to your overall health as well as your eye health! By substituting white flour products with whole grain options such as brown rice, whole wheat pasta, quinoa you can help reduce your risk of age-related macular degeneration. Leafy Greens: It is vital to your eyesight that you have a diet that is rich in Lutein and Zeaxanthin. These nutrients help keep your eyes on their A game. Some foods that would fall under this category and give you the nutrients you need would be kale, spinach, collards, as well as a number of other greens. Citrus Fruits and Veggies: Keep your diet rich by fueling your body with an assortment of citrus fruits and berries! This gives your body the Vitamin A and C that it needs and helps keep your eyes in the best shape. Vitamin A and C have proven to be very beneficial for your eye health and by keeping your diet full of them your eyes will thank you! Some examples of common foods you could eat to get your fix of Vitamin A and C are oranges, grapefruit, apricots, plums, carrots, peppers, and many others.